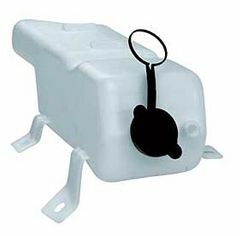 Coolant Bottle Kit, Jeep CJ (1981-1986) - all engines. Jeep Wrangler (1987-1995) - all engines. Includes Bottle and Cap. Home > Coolant Bottle Kit, Jeep CJ (1981-1986) - all engines. Jeep Wrangler (1987-1995) - all engines. Includes Bottle and Cap.